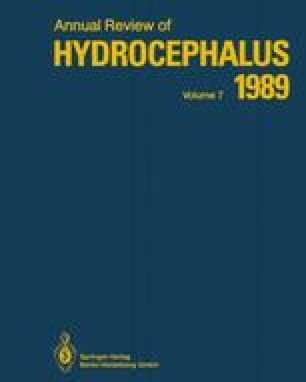 Congenital hydrocephalus is known to be associated with a variety of structural and functional abnormalities of the central nervous system. We studied BAER in 20 children with clinically diagnosed and CT confirmed congenital hydrocephalus before and after shunt surgery. Pre-operatively ninety-five percent of the children showed abnormal responses. Prolonged Wave V latency was the commonest seen in 75% of cases ranging from 5.6 to 7.5 ms on the right side and 5.6 to 6.5 ms on the left. The prolonged interwave latencies was the next common abnormality. Even total absence of wave forms were seen in communicating hydrocephalus.